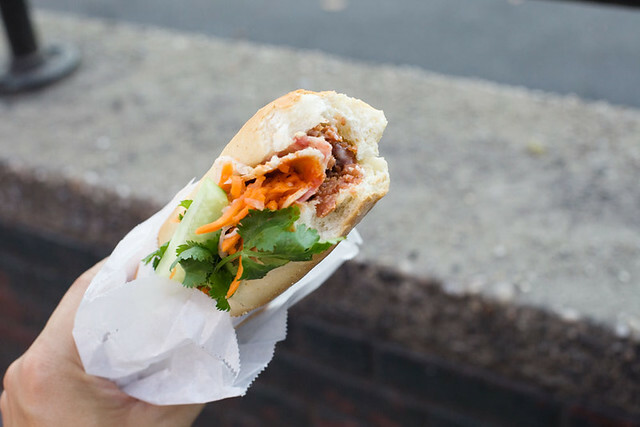 Banh Mi Saigon on Grand St is my to go place for banh mi. I know there are better places and places my friends like better but I don’t know I like going here. I got the #1 which was the classic sandwich. I love this sandwich a lot especially when I get a hint of the Maggi seasoning. I love Maggi seasoning. Since it was nice out I took the sandwich and walked over to the Sarah Roosevelt Park. Never really been to this park before and there was a big asphalt court where a bunch of people on bikes were playing polo. 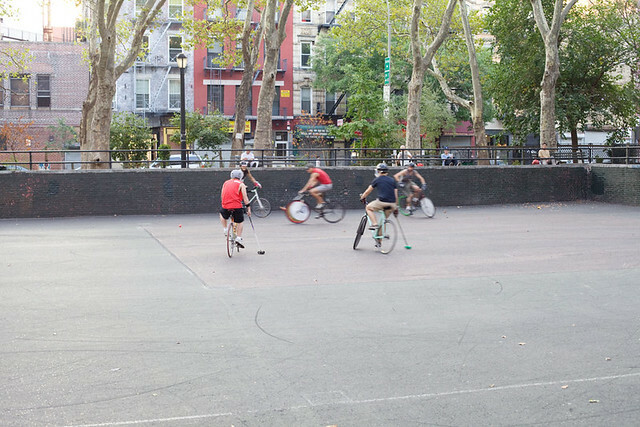 Bike polo? Cheap sandwich, great weather, sports! Usually just 1 sandwich isn’t enough so I was thinking about my next stop. Maybe walk over to Prosperity Dumplings for dumplings? Or to a bakery for egg tarts? Maybe to Mei Li Wah for some pork buns? Hmm so many choices and cheap choices too! 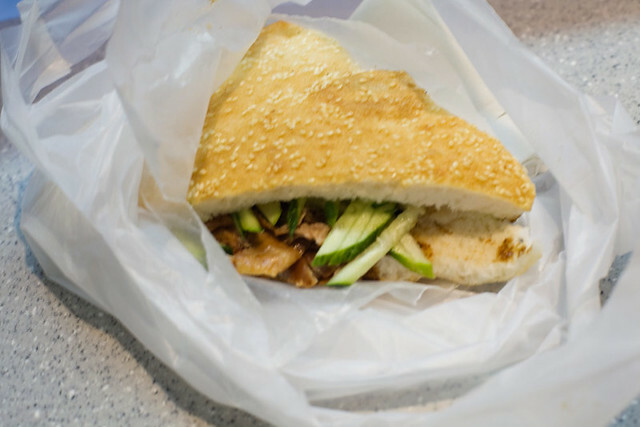 FINALLY I decided to get a Peking duck sandwich from Vanessa’s just a block from where I was. Why not make it a sandwich day eh? For $2.50 you get a pretty decent sandwich. Size wise it was definitely a good deal and there were enough duck meat to satisfy me. But the whole sandwich was a bit bland and too oily. All I tasted was oil and grease but I did finish it. And then to wash everything down I went to Lucky King Bakery and got an iced coffee and tea drink aka yin yang. Double the caffeine please. Just a warning, never ever go to a bakery towards the end of the day because thats when all the elderly people tend to go for the deals. It’s common for bakeries to sell 2 for 1 buns to make room for next day’s fresh buns. And you know how much Asian elders love cheap deals. I had to wait for 15 minutes because Asian elders are ruthless! The grandma in front of me took foooorreeevvveeerrrrr in deciding what she wanted. Ugh. Eventually I did get my drink and walked home. Total for 2 sandwiches and 1 drink was $8.50. Not bad right?